Have you seen Mo #GoBr? In the latest video vignettes from Visit Baton Rouge you can join Mo Isom as she visits all the must see hot spots in Baton Rouge. Visiting everything from the Manship Theater to Bass Pro, Mo takes us on a journey uncovering the best of what the capitol city has to offer. Don&apos;t miss the culinary action as Mo Isom grills Restaurant IPO Chef Chris Wadsworth about the distinct regional tastes and the burgeoning foodie culture that is redefining cuisine in Baton Rouge. A seasoned chef indeed, but Chris has no chance when it comes to Mo&apos;s competitive spirit and a lighthearted food-eating contest. Let&apos;s tag along with Mo Isom as she makes her way to the lush, languid grounds of Nottaway Plantation in White Castle, Louisiana. Just a short ride from Baton Rouge, this magnificently built, majestically preserved plantation is a stunning and surprising antebellum mansion and totally worth the trip. 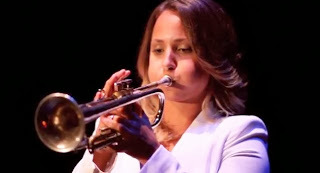 Get in tune with Mo Isom as she sits center stage with jazz trumpeter John Gray and discovers that playing the trumpet well is not an easy assignment at all. And, nothing can prepare you for the hilarious play between Mo and Conductor David Torns when she tries her hand at the classics. All hands on deck as Mo Isom gets star-spangled on the USS KIDD. Located in the heart of downtown Baton Rouge, the "Pirate of the Pacific" remains a glorious centerpiece of a memorial that serves to honor the men and women of our American armed forces. A magnificent sight to see, the USS KIDD is fully loaded fun for all ages, with history at every turn, but in the end, she&apos;s simply no match for Mo. Duck! 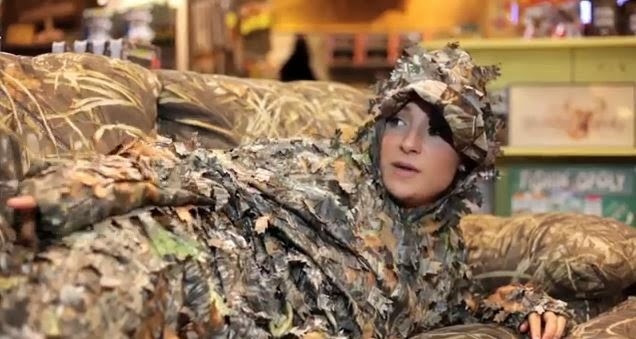 It&apos;s Mo season at Bass Pro! Take cover, and watch what happens when Mo Isom gets fully camo&apos;d and takes on Bass Pro. From ducks to deer, and turtles to unsuspecting Aussies, Mo proves her mettle as a fearless and feisty warrior. 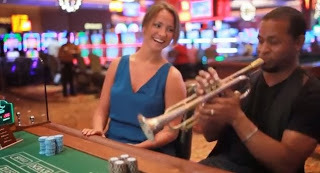 Luck be the lovely Mo Isom when she lands at L&apos;Auberge Casino. Join Mo as she wines, dines, and refines her palate with celebrated chef Troy Deano at 18 Steak. Don&apos;t miss Mo as she dives into gourmet cuisine, prime cuts of beef, perfectly paired wine all set in an elegant well-appointed dining room. Step out in style with Mo Isom as she pops in, out, and all about Baton Rouge&apos;s fashionable boutiques. Modestly hip, effortlessly chic—whatever your taste, whatever your style, it&apos;s the perfect time to shop and be seen in Baton Rouge. Keep your eyes open, you never know where we will see her next! Connect with us and find out what&apos;s going on in the Red Stick HERE!